The material and so the look of the still white and boring triangles is done with triplanar texturing. First, this article shows the core blending of three textures and then, it extends it with normal mapping for a relief like look with more structure. The given code here are CG-Shaders which are platform independent. 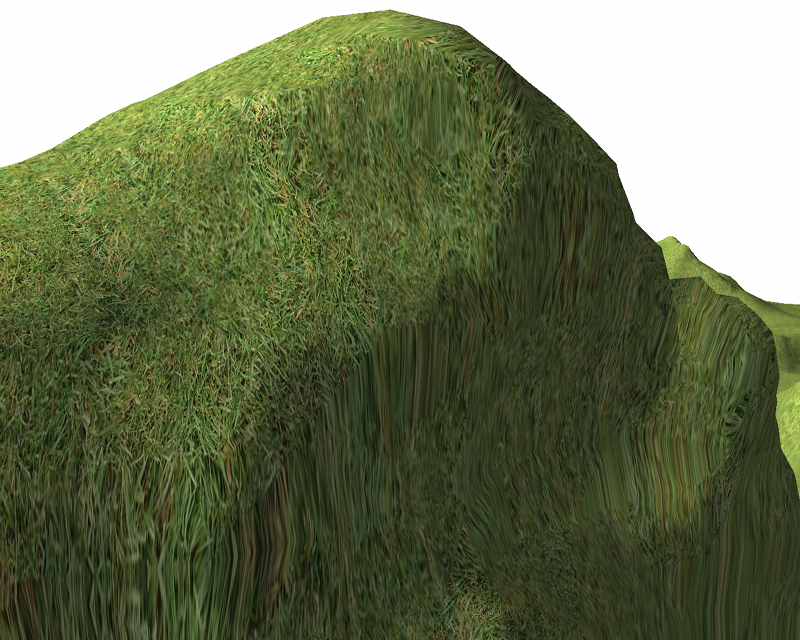 scale is a factor which determines how often the texture is repeated all over the terrain. Here comes triplanar texture mapping into the game. Basically, it is mapping three different textures from above, from the front and from the side. How much each of the textures are chosen for the final color is controlled by the normal. If the normal at the position points mostly upwards then the texture from above has the main part. In the in between areas, the three textures are smoothly blended together. The basics are presented by Geiss [Gei07] and they are extended by a few more control parameters by Lengyel [Len10, P. 48]. Specular mapping extends the normal specular lighting by the fact, that specular highlights are not found on all places of an object. The metal button on the west has specular lighting, not the cloth. The information where to highlight something and where not can be stored in the texture in a single color channel as factor of the normal specular light calculation. This factor is already stored in the blended alpha channel of the color. Figure 2 shows the result so far. This already looks nice, but some simulated relief via normal mapping will improve the look. With normal mapping, the normals of a fragment are modified and so the lighting gets influenced. This way, a relief appears [NFHS11, P. 339 – 341]. And now some theory: The fetched normals are in a space different to the one of the light sources and objects. So one space must be transformed into another. Here, it’s the view direction defined by normalized difference between the camera and the fragment. The fragment has a tangent , a bitangent and its normal . Together, they define it’s orientation matrix. With the transposed one, the fragment is brought into the texture space of the normal mapping normals [NFHS11, P. 345 – 347]. If you like this work and want to support it, feel free to donate something or click on any Flattr button!